Kaden's Corner — Crafts for kids by kids! 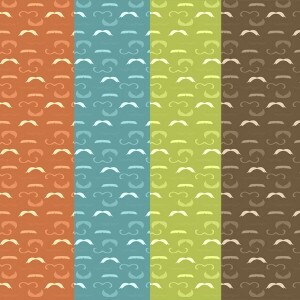 This set of mustache patterned papers is a fun addition to any manly project or Father's Day card. 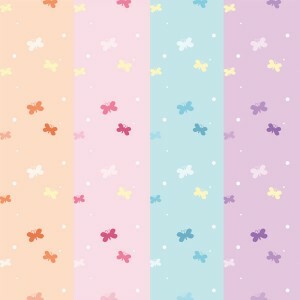 This set includes 4 12 x12 papers saved at 300 dpi for high quality printing. This printable digital stamp set is perfect for that super Dad with a super mustache. 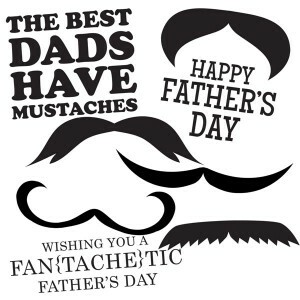 It will make creating this years Father's Day card lots of fun. This set comes with individual PNG files saved at 300 dpi for high quality printing. This printable digital stamp set for making Father's Day cards comes in both color and black and white. There are three different ties and buttons, plus a pocket and "DAD" Tie Tack. 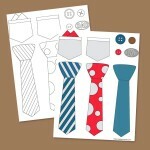 This is a printable sticker set for Dad. It comes in color and black and white. 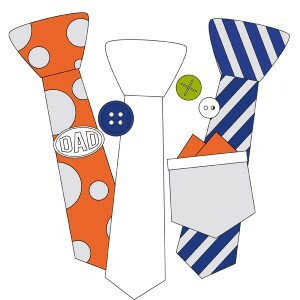 It is the perfect clip art to print and add to your Father's Day card or poster. 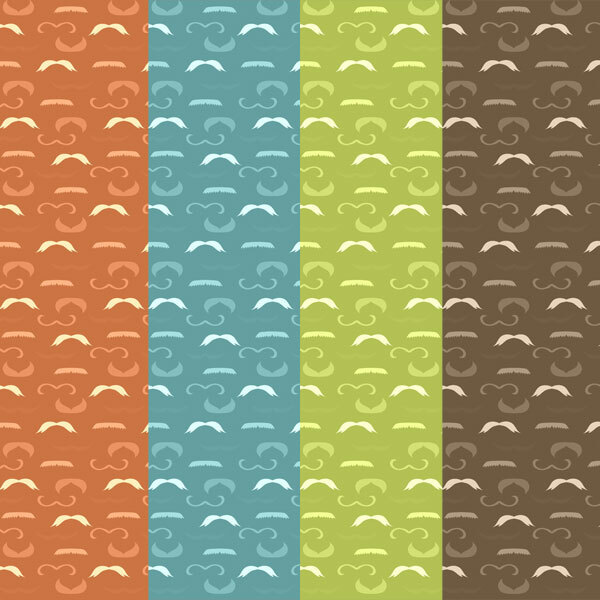 These cute little mustaches are a lot of fun to play with. There is a color version or a black and white version that you can print and them color. 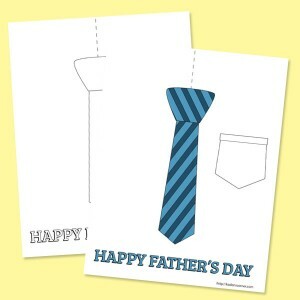 These are great for Father's Day cards and photo opts. 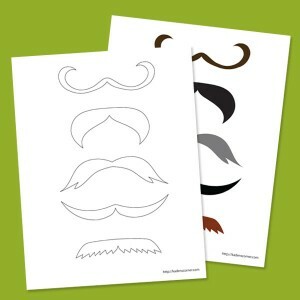 At our house we like to cut out the different printable mustaches and cut them out. You can them tape them to Popsicle sticks and us them for dress up and pretend play. My kids had so much fum making these for Father's Day. There is a black and white version for your kids to color for Dad or a color version that can just be printed out. If you cut on the dotted line and fold the paper down at an angle it will look just like a white shirt and tie. So cute! You can also cut a slit at the top of the pocket and add a candy bar for even more fun. This is a super fun project to give Mom on Mother's Day. 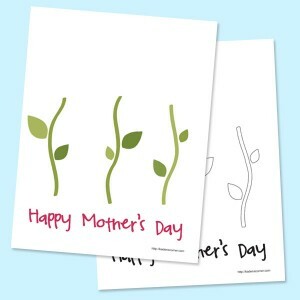 Print out the sheet and then have the kids use their fingers and stamp ink to create finger print flowers. The kids will have tons of fun and Mom will love it. 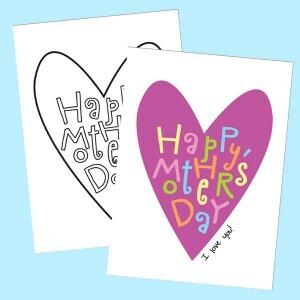 Show Mom how much you love her this Mother's Day with this super cute, heart shaped Mother's Day card. Print out the black and white version to color yourself to make it extra special. 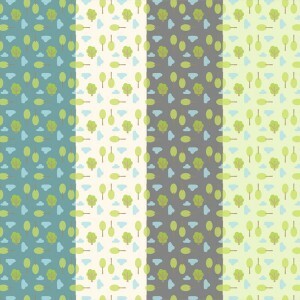 This set of tree patterned papers would be the perfect accent to your next scrapbook or card making project. 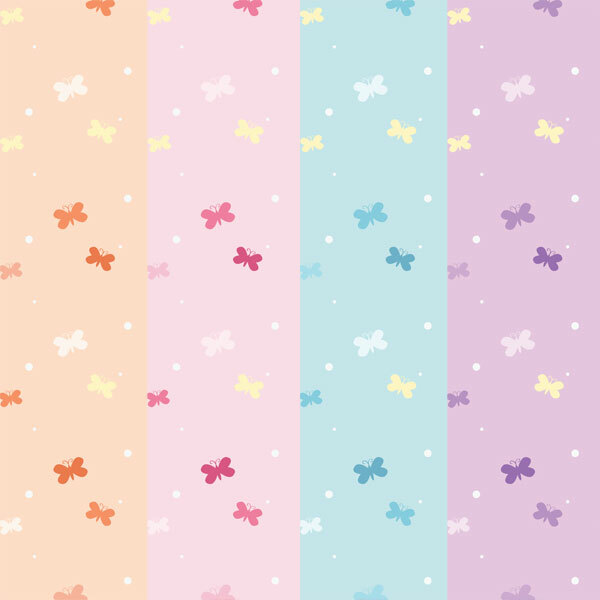 Nothing says spring like some cute little butterflies. 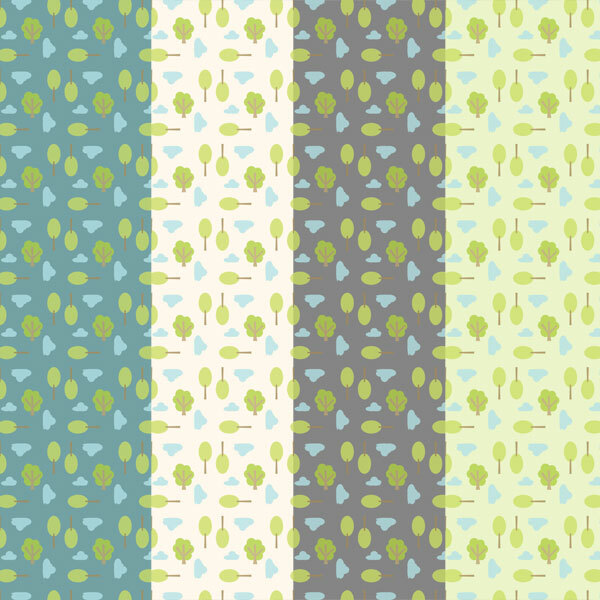 This printable paper comes in 4 different colors and can be for everything from springtime scrapbooking pages to baby shower invitations.